Although it has been over a year now, I still think back to the day that I finally checked off a serious must see from my bucket list. When I found out Fleet Foxes were coming to Massey Hall, knowing I could see one my favourite bands in my favourite Toronto venue meant ensuring I got those tickets. On July 14, 2011, I sat in wonder with a crowd of appreciate fans awing the harmony that swarmed around us. As the summer of 2012 comes to a close and think back on my top summer concerts, Fleet Foxes live at Massey Hall has to rank up in the top 5. 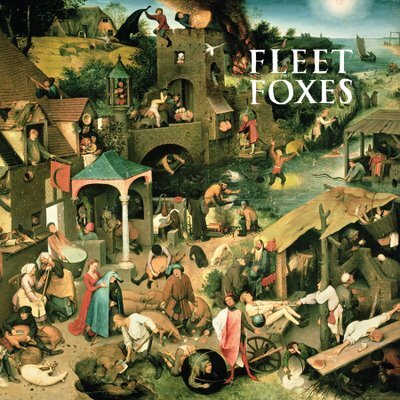 With this in mind, I thought it a good time to share a classic Fleet Foxes song that truly is a must hear. Off their self entitled debut album released back in 2008, Tiger Mountain Peasant Song will transport you, whether you crank it in your car, whether you’re dozing with headphones on a bus, or sitting in a concert hall with amazing and spectacular acoustics. This song is all about the vocals. With subtle, building melody the song lures you into a state of otherness, it’s guaranteed to give you chills, but in the best kind of way. Layering the song with the powerful repetition, “I don’t know what I have done, I’m turning myself into a demon” will linger and haunt. In the mood to have someone lull your soul with bold, echoing vocals and take somewhere you’ve probably never been before? Then you’ve GOT to hear this.